The perfect christmas gift! The book of the competition – contains stories by all four judges, plus the twelve winners of the competition. All these stories will be read live at the festival on 21st December. Order your copy/ies now from us via Inpress or ask at your local bookshop. Coming to the festival? You can collect your order from us on the day and get your book signed by as many authors as you can track down – they will have badges. 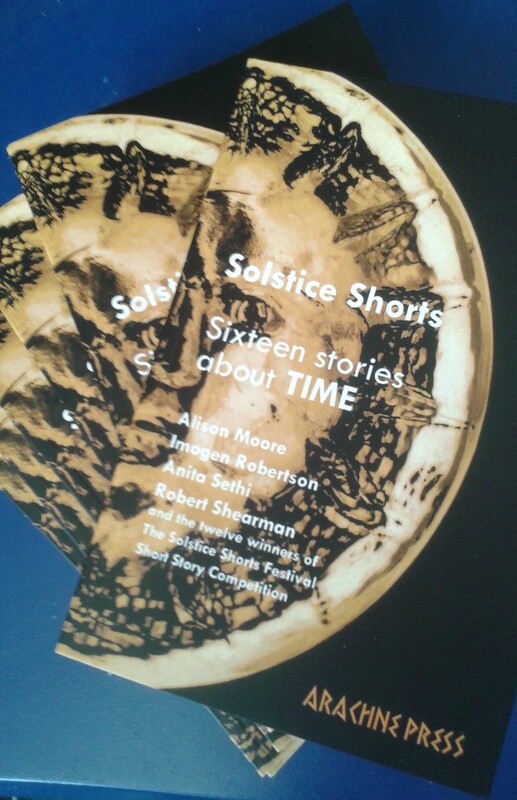 This entry was posted in Books, BUY BOOKS, Events, Festival, live literature, Publishing, short stories, Solstice Shorts and tagged anthology, Christmas gift, prize winning authors, short stories, Solstice Shorts Festival, Solstice Shorts: Sixteen stories about TIME by Cherry Potts. Bookmark the permalink.